October | 2013 | iamstylingonyou. Personal style is a way that many people choose to express who they are. The type of clothing you wear can often be a reflection about how you feel. For me it’s exactly that. I love to pull inspiration form both men’s and women’s fashion and mix it together depending on how I feel of where I’m going that day. 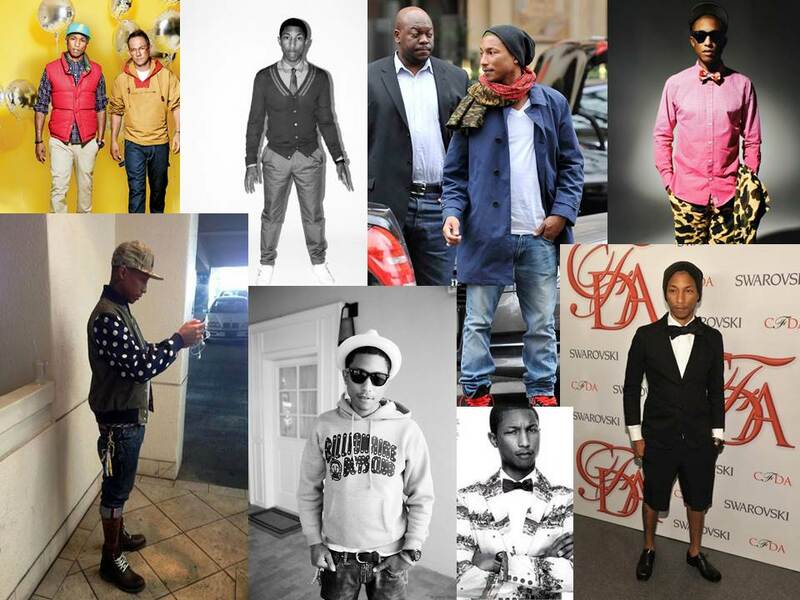 One person I have always looked up to in the style department is Pharrell Williams. The mix or street and high fashion with elements of art or his travels are infused into his style in a way that the is pure authenticity. Every time you see him his looks are effortless whether its a suit or sweats. I want to look that effortless when I step out the door every day! He mixes prints, rocks distressed denim, kills suit and cardigans even makes a simple jeans and t-shirt look special. The one item that I have adopted from his wardrobe has got to be the crewneck sweatshirt. Anyone who knows me knows that I love a good crewneck. I’ve rocked it with heels and jeans or sneakers. Crewnecks are warm, comfy, effortless and can sometimes be layered. I’m here for it and thank Pharrell for showing me the light.